Kiera Lanae Bergman has been missing for more than three weeks. 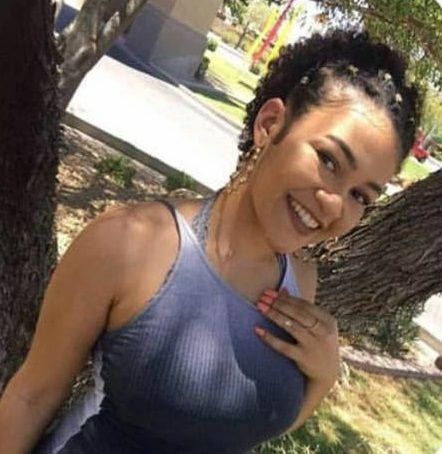 The 19-year-old was last seen at her Phoenix apartment complex on August 4 and police now believe “foul play” may be involved in her disappearance. Bergman’s on-again, off-again boyfriend Jon-Christopher Clark was arrested on August 17 after police reportedly found “items with personal identifying information of others, as well as items of forgery” during a vehicle search. He was charged with 22 counts of aggravated felony theft and two counts of forgery. The 23-year-old, who may have been the last person to see Bergman before she disappeared, was originally scheduled to be released from jail on Saturday, The Arizona Republic reported. However, Clark was charged with a probation violation before his scheduled release, Maricopa County Sheriff’s Office spokesman Sgt. Bryant Vanegas told the paper. Clark was on probation after an arrest for theft when he lived in California. He appeared before a Maricopa County Superior Court judge on Saturday, according to The Arizona Republic. Police previously said that Clark is not a suspect in Bergman’s disappearance. In an email to Newsweek, Sgt. Lewis said that no suspect has been identified or charged. Bergman’s parents, however, are suspicious of their daughter’s boyfriend and believe he may know something about her disappearance. On August 21, Lewis told Newsweek that the circumstances surrounding Bergman’s disappearance were “suspicious.” Clark is believed to be the last person to have seen Bergman on the day of her disappearance. He allegedly picked her up from work and drove her to the apartment she shared with her roommate, Destiny Hall-Chand. The two reportedly got into an argument over finances and she then left the apartment at 1 p.m. Anyone with information about Bergman’s disappearance is encouraged to call Silent Witness at (480) W-I-T-N-E-S-S or (480) T-E-S-T-I-G-O for Spanish. Callers may remain anonymous.